To view this information, you must be a member of NRMLA and you must be logged into NRMLAonline.org with your username and password. Once you are logged in, you will see a “Documents” tab located to the right of the Registration Fee tab above. There’s no better venue to collaborate with industry peers or meet other top subject matter experts. Underwriters, compliance staff, business owners, attorneys, counselors, servicers, processors and loan originators attend NRMLA’s Annual Meeting & Expo to be part of the industry discussions that matter most to your business. Get your CRMP continuing education credits. Network with industry leaders. And come together to improve the reverse mortgage experience. Register today! 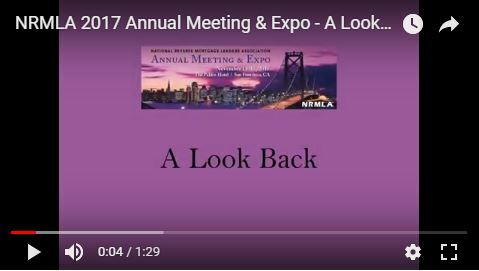 If you want to increase your company’s footprint in the reverse mortgage business, consider exhibiting or sponsoring at NRMLA’s Annual Meeting & Expo. Put your company in front of a qualified audience of decision makers in the reverse mortgage industry. Download the sponsor materials/exhibitor brochure. 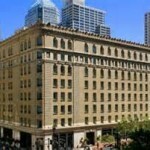 The Palace Hotel discounted room block is fully committed. If you need a hotel reservation for the conference we recommend booking a room at one of the following nearby hotels. Go to www.hotels.com or directly to the hotels website to book a room. 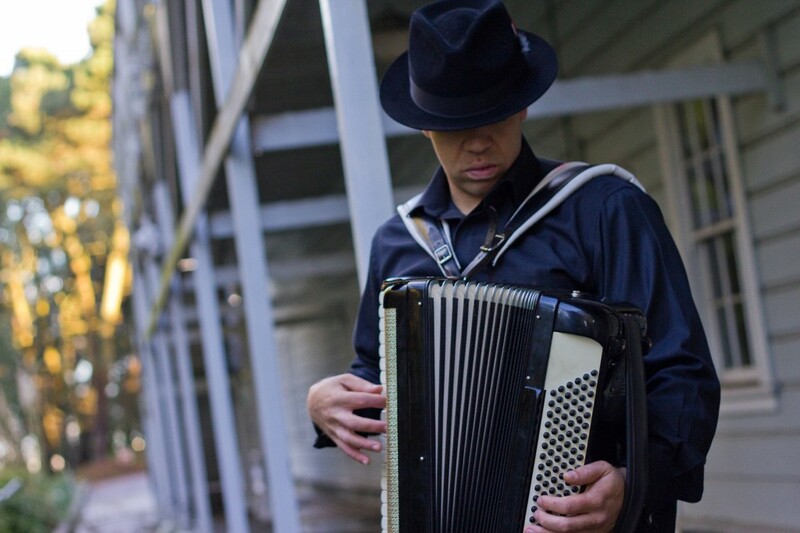 For example, if you register at the Pre-Sale Registration Rate and pay by check, payment must be received by Friday, July 21 or you will be charged the next highest registration rate (Early). All conference cancellation requests must be received by faxing to 202-265-4435 or emailing to Darryl Hicks at dhicks@dworbell.com. A $50 cancellation fee will be applied to all cancellation requests received no later than September 29, 2017. A $150 cancellation fee will be applied to all cancellation requests received from September 30 through October 20, 2017. No refunds will be issued for cancellation requests received on or after October 21, 2017. The Palace hotel does not offer discount parking to meeting attendees, however, there are several parking garages near the hotel, which offer cheaper rates. Trying using Spot Hero, a web site that pinpoints parking garages in the area, at www.spothero.com. As you plan your travel to San Francisco, we compiled a short list of attractions, events and gastronomic institutions to help make your stay as enjoyable as possible. 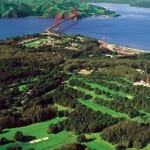 If you play golf, there’s no better place to test your skills than on the fairways of the famous Presidio Golf Club. Join us for the 4th Annual Reverse Scramble on Sunday, November 12. Tee times begin at 11:30 am. The cost is $220/person. Clubs can be rented for an additional $50. There will be prizes. Questions: Email Sarah Aaronson at sarah@irmevents.com. Note: You must register for the Reverse Scramble separately from the Annual Meeting. Download Reverse Scramble registration instructions. Started in the 1970s in San Francisco’s Tenderloin neighborhood, Curry Senior Center offers essential social services, such as free meals, free housing, and free health clinic, and more than 40 different community programs and classes for a very diverse group of people. CSC serves 350 people breakfast and lunch 365 days a year and there are 16 rooms available for very low-income seniors who otherwise would be homeless. Watch the video documenting NRMLA’s 2015 Service Day at the Curry Senior Center. The registration desk will be open from 12:00 pm to 5:00 pm. The exhibit hall, located in the Gold Ballroom, will be open from 7:30 am to 7:00 pm, but closed during general sessions. Meet at The Bridge, NRMLA’s networking lounge, to power up your devices and connect with fellow attendees. Hours are 7:30 am to 7:00 pm. Two nationally-renowned marketing experts discuss ideas for communicating with America’s 50+ population in more meaningful and engaging ways. New principal limit factors, new mortgage insurance premiums and a new interest rate “floor” have forced us to rethink how Home Equity Conversion Mortgages should be presented and explained to consumers. Craig Barnes, head trainer at Reverse Mortgage Funding LLC, presents an updated version of his popular Reverse Mortgage Math course to share strategies that can help you serve your clients more effectively. Nothing changes as quickly as digital marketing. It’s a full-time job keeping up with the latest trends, marketing best practices and enabling technologies. When you’re in startup mode and not sure what’ll work, you’ve got to consider and experiment with social media, content, email, mobile, influence and search engine marketing. Jim Berkowitz, founder of LaunchHawk Marketing, discusses best practices that you can incorporate into your own businesses. FHA’s key HECM personnel will summarize important program changes made in 2017, provide program performance statistics and discuss future priorities. As Senior Vice President of the Office of Issuer & Portfolio Management, Michael Drayne is responsible for the management of Ginnie Mae’s relationships with the mortgage lenders who issue securities under Ginnie Mae’s mortgage-backed securities program. 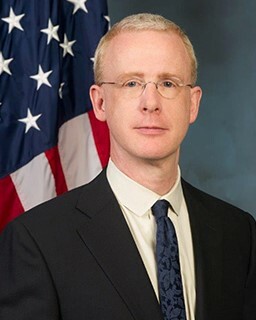 In this capacity, he oversees the Single Family and Multifamily Program Divisions, as well as the Monitoring & Asset Management Division, the latter of which is responsible for the oversight of the Ginnie Mae servicing assets owned by Issuers or Ginnie Mae. A 25-year veteran of the housing finance industry, Mr. Drayne began his career at Chevy Chase Bank, where he served as Vice President and Director of Secondary Marketing. In addition, he was responsible for managing several other operational units for the bank’s nationwide mortgage lending subsidiary. He has also held management positions with the residential lending divisions of two other banks. At one of these banks, he co-founded a reverse mortgage lending unit. Special guest speaker Elizbeth Ecker, Reverse Mortgage Daily. Lunch will be provided. Barbra Kingsley, PhD, a principal partner with Kleimann Communications, shares insights on communicating about financial products. Her talk will focus on the value of plain language standards and – specifically – how to better understand and communicate with an aging clientele. Approved for 1 CRMP Credit. Four leading retirement researchers comment on their findings about gauging interest in, and understanding of, home equity products among older homeowners and financial advisors; analyzing real estate owned by reverse mortgage borrowers; the financial state of elderly homeowners and how they might benefit from borrowing against the equity in their homes; and incorporating home equity into an optimal cash withdrawal strategy during retirement. NRMLA members must ratify the Nominating Committee Report and formally elect a new Board of Directors for the 2018 term. NRMLA executives will share updates on the association’s advocacy, education, and public relations efforts. Use this opportunity to catch up with old friends and make news ones. The exhibit hall, located in the Gold Ballroom, will be open from 8:00 am to 7:00 pm, but closed during general sessions. Successful industries need to readjust on a timely basis to remain relevant and sustain themselves. Is this our time? This town hall-style event is a platform for sharing ideas and suggestions to keep improving the reverse mortgage borrower experience as our industry adapts to recent regulatory changes. Our panel of legal and regulatory experts will address potential areas of focus at the Consumer Financial Protection Bureau, annual FHA recertification, areas of risk, and risk management best practices. At our last two annual meetings, we moderated panels of borrowers who discussed their reasons for getting reverse mortgages and offered opinions on the origination process. This time, we invited the children (or relatives) of borrowers to give us their thoughts and impressions and ideas for improving the borrower experience. Buffets available in Exhibit Hall and Sunset Court. Advertising and promoting yourself on Facebook requires a certain skillset if you want to succeed at it. Jim Berkowitz, founder of LaunchHawk Marketing, shares the results of a campaign he recently devised for a reverse mortgage lender and will talk about what worked and what didn’t. You’ll want to bring your laptop for this interactive session. The Consumer Financial Protection Bureau expanded data collection requirements under the Home Mortgage Disclosure Act that impact reverse mortgage lenders. Our panel of compliance experts will provide an overview of the new rules, offer practical guidance for collecting and reporting GMI data, share helpful tools and resources, and take your questions. More states are enacting regulations that impact companies that originate and service reverse mortgages. Our panel of legal experts will sort through what happened in 2017 and what is in the works for 2018. Ken Krajewski of CIBC Bank, based in Chicago, IL, will show reverse mortgage originators how they can create a larger and more productive referral base in an effort to become more self-sufficient. Ken’s presentation is fun, full of stories that are relatable to anyone who has ever originated a reverse mortgage, and encourages engagement with all who attend. The registration desk will be open from 8:00 am to 12:00 pm. FHA recently implemented regulatory changes that make the HECM for Purchase program more consumer-friendly. We’ll discuss these changes, address common underwriting questions, and invite two top producers to share how they have succeeded at creating successful referral networks with builders and Realtors. Members of NRMLA’s servicing committee explain what the final HECM rule will mean for your borrowers at the end of their loan, offer guidance for nonborrowing spouses, and share timely information for managing cases after the property suffers damage. FinTech is disrupting the financial services industry at an extraordinary pace. Consumer interfaces, underwriting and processing technologies and regulatory compliance technologies are looming large, but how will the reverse mortgage’s traditionally high-touch sales and operations centers adapt? Join the conversation on what’s next. Attendance at this workshop is mandatory for any person who is pursuing the Certified Reverse Mortgage Professional designation, as well as current designees who are in their third year and need to recertify. A $30 fee is charged. The workshop lasts from 1:30 pm to 3:30 pm. Entry to the CRMP Ethics Workshop on Wednesday, November 15, from 1:30 pm to 3:30 pm. All candidates pursuing the Certified Reverse Mortgage Professional designation, as well as existing designees who must recertify every three years, need to attend this workshop.